Sunday is going to be a very big day at the top of the English Premier League table, as three of the top four clubs will be in action. Liverpool currently sits at the top of the table with 82 points, while Man City is two points behind with a total of 80 points. Man City, however, has an all-important game in hand in their back pocket, so they still control their own destinies. With Man City playing a very winnable game against Crystal Palace on Sunday, Liverpool will be forced to notch a win over Chelsea, or else they will likely be in very big trouble. In reality, Liverpool can not lose another game this season if they want to have a hope of winning the title. Chelsea desperately needs to win on Sunday as well, as they currently sit in fourth place in the table. Chelsea obviously wants to catch Tottenham for the #3 spot in the table, but at the very least they want to hang on to #4 spot, which gives them a UCL playoff spot. Manchester United won on Saturday, and they currently sit two points behind Chelsea. 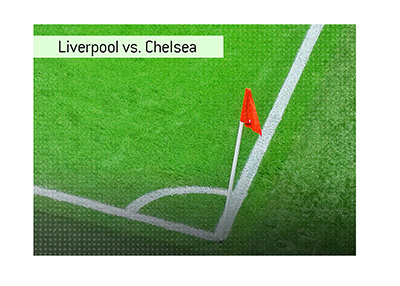 In short - this is a massive game for both Liverpool and Chelsea on Sunday. Liverpool has been absolutely fantastic at home this season, as they have managed a total of 44 points in 16 home games. Chelsea is certainly in the upper tier of road teams this season, as they have managed 28 points on the road in just 16 games. Both clubs are in the midst of winning streaks, with Liverpool having won their past four in a row and Chelsea having won three in a row. Something is going to have to give on Sunday - who will win this very important game? Where Can I Bet on Liverpool v Chelsea? Bet365 is where I place all of my English Premier League bets. I have been with the company since 2011 and they have treated me extremely well.